Prior to the financial crisis of 2008, when the real estate market was still thriving and properties were increasing in value year after year, it was very common for homeowners to take out second mortgages or home equity lines of credit (HELOCs). I’ve written previously about the financial shock many homeowners are now experiencing, as HELOCs they acquired in 2005-2006 begin reaching the 10-year mark, where they commonly reset from interest-only payments to repayment of principal and interest. In recent months though, as I coach people facing difficult decisions about their properties and mortgages, I’ve seen a new issue arise for certain homeowners. These owners are currently living in their home, are in good standing on their first mortgage, but have long been in default on their second mortgage or HELOC. This is a situation that represents a definite risk of foreclosure, yet my experience has been that many people do not understand this reality and seem totally oblivious to the risk. Let’s take a closer look at some of the mistaken assumptions people are making, and what you need to know if you’re facing a similar scenario. Do Second Lien Creditors Have the Right to Foreclose? One of the most common assumptions people make is that a second position lienholder (the lender who issued the second mortgage or HELOC) does not have the legal right to foreclose while the first mortgage is currently being paid on time. Another variation on this misunderstanding is that the second lienholder doesn’t have the power to foreclose without the full cooperation of the first lienholder. Both of these assumptions are totally false! There is no question, in either instance, that a second lienholder has the right to initiate a foreclosure. All that is necessary is for the second lender to absorb the cost of the foreclosure. Once the property has been sold at auction, the second lender must still pay the first mortgage balance before they can recover any proceeds towards the defaulted note or the costs of bringing the action. But there is nothing about a first mortgage that blocks foreclosure by a second lender. “I’m past the statute of limitations in my state, so they can’t come after me anymore.” I hear this misunderstanding frequently as well. Homeowners learn that their state has, say, a four-year statute of limitations for legal actions following a contractual default, and they assume this applies to their unpaid second mortgage. 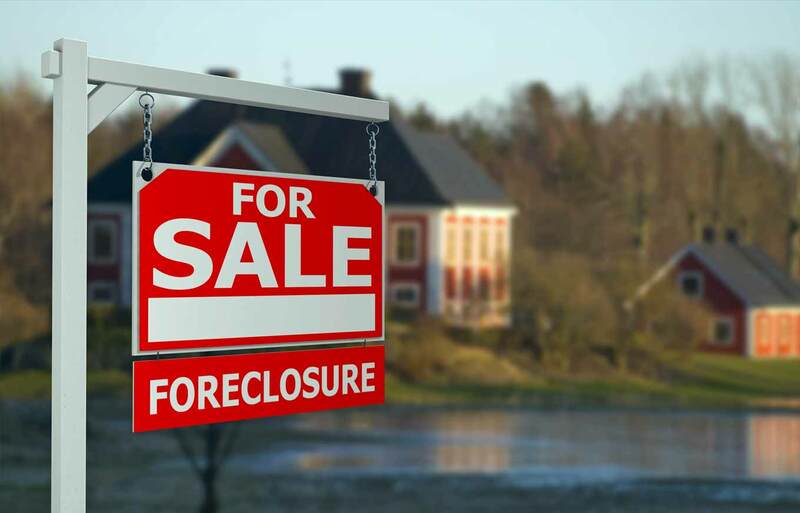 It’s true that the statute period may come into play in situations where a home has already been lost to foreclosure and a residual deficiency balance remains after the sale. In many cases, lenders can file a lawsuit to recover such unpaid balances. In that situation, the second lien gets extinguished on sale of the property, so the statute of limitations can definitely be a factor. However, if you still live in the property and it has not been foreclosed on, then the second lien remains intact. And there is no statute of limitations for active property liens. All of the rights associated with that lien remain whether or not in default, and without regard to any limitation on duration. So it doesn’t matter if you haven’t paid the second mortgage in five years and your state has a four-year statute of limitations. The lender still has a right to foreclose. What If a Property Is ‘Underwater’? Your property’s current fair market value is $400,000. You owe $350,000 on the first mortgage, which is paid current, while your defaulted second mortgage of $100,000 remains unresolved. The total mortgage is therefore $450,000 on a home worth $400,000, so at first glance it looks like the home is underwater, right? Well, not really. To be precise, it is only partly underwater, because a sale of the house would cover all of the first mortgage and some of the second mortgage. In this example, there is $50,000 of home value covering the unpaid $100,000 second mortgage, so that loan is actually 50% “in the money.” Would a lender initiate foreclosure under these conditions? There is still the matter of costs to consider, but $50,000 in equity is sufficient to cover the cost of most foreclosure actions, so these figures definitely represent a property at risk. Your home’s value has bounced back to being worth $500,000. You owe $350,000 on the first mortgage, which is paid current, and your defaulted second mortgage of $100,000 remains unpaid. The total mortgage debt of $450,000 is exceeded by the price of the home, with $50,000 of positive equity. Obviously, this home is not underwater at all, and is therefore a logical target for foreclosure by the second lienholder. In addition to the risk of foreclosure itself, there is also the risk of losing some or all of the $50,000 of paper equity to foreclosure costs and a below-market auction price (which is common for distressed sales). Why Should I Worry Now? The real estate crash happened seven years ago. Since then we’ve seen a general trend of rising property values. It’s crucial for homeowners to understand that the risk associated with defaulted second mortgages increases as the property climbs in value over time. The concern here is that this risk may develop at a point when the homeowner is no longer paying much attention, perhaps several years after the original default. With little to no collection activity during that whole time, it is tempting for people to think nothing will happen in the future. But this attitude fails to account for the higher risk that comes with a rising property value. If the default took place at a time when the house was worth less than the first mortgage alone (as per the first scenario above), there was no point from the lender’s perspective to foreclose on the property. As time has gone by, however, and the value of the home has risen, it may now be only partly underwater or even have positive equity again. The risk is then much higher that the lender will “wake up” and attempt to recover their loss via foreclosure. In an upcoming piece, I’ll discuss why settling your second mortgage or HELOC may be your best option for keeping your home and moving on from the debt. Charles Phelan is a former executive in the debt settlement industry and a debt coach who helps people get out of debt without bankruptcy. He teaches do-it-yourself debt negotiation at ZipDebt.com, and provides consultations for second mortgages and HELOCs via SecondMortgageAdvice.com. This is odd. We had same lender on our lst mtg and our large Heloc. Always current on the lst mtg. The Heloc lender (primary residence) foreclosed…held a Trustee’s Sale on the Heloc lien, and the winner and only bidder now owns the home. We stopped paying on the remaining lst mtg., obviously, moved out and new owner has renters in the place. The lst mortgage lender promptly sold the servicing on the lst to another Servicer, it’s a Fannie Mae loan. They have been calling and sending the Notice of Intent to Accelerate, so we actually answered a call today, told them the Heloc lender had foreclosed, we don’t own the home, and that is why we stopped paying on the lst mtg. Evidently in AZ, they can now foreclose again, on the lst mortgage this time, and the guy who got the house at the first Trustee’s Sale is out his investment. So, they certainly did not put the money from the Heloc sale toward the lst mtg as it says in this article. They put it towards the lien being auctioned, as that now shows a Zero balance in our online banking and shows as a Foreclosure on our credit.